There are data recovery options available for download for Windows and Mac OS’ but Windows 8 has one already built in called File History. Using File History is simple: Setup a backup location either on a local, separate disk or external device like a USB disk or shared network location. Select a few options like how long to make and keep backups and you’ll be setup in no time. Restoring is as easy as browsing through a past version of Windows Explorer or operating via a similar user interface in the File History restore wizard. 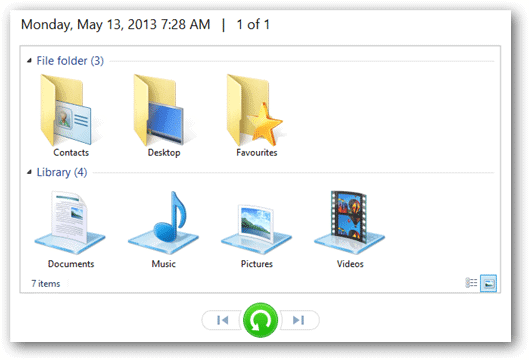 Read on to find out more on File History in Windows 8. 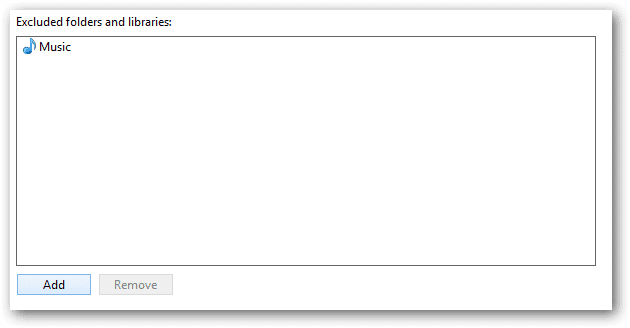 File History can be found either in “Control Panel\System and Security\File History” or by searching for “File History” in the Start menu’s “Settings” category. File History will now be enabled with the options to shutdown or stop. “Turn off” File History to quit using it entirely. To the left are a few options. Restore files, select backup drives, exclude folders from using File History, and some additional settings. The “Exclude folders” window allows particular folders to be added to the exclusion list in File History. Select Documents or Videos, for example, to withdraw those directories from using the feature. “Advanced settings” define specific tasks File History uses to run. 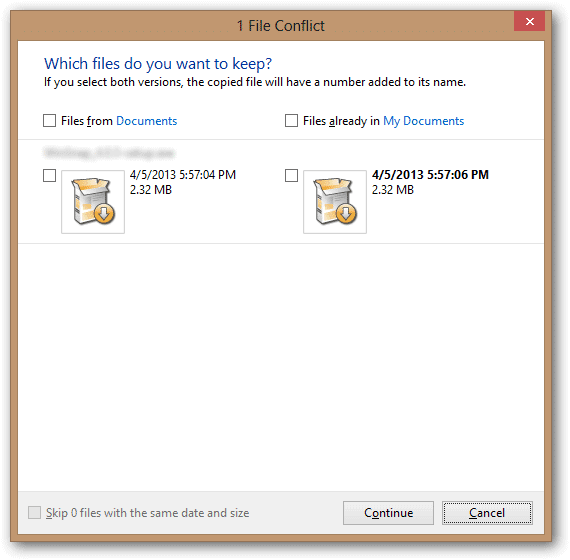 The first task to “Save copies of files” has several options. To ensure backups are created as often as possible, choose “Every 10 minutes”, or to use less disk space but still utilize the feature, select a time greater than “Every hour.” If files aren’t being changed very often, choosing “Daily” will work fine. The second section under the “Versions” category is for the “Size of offline cache,” where we find just a few options. With the default being 5%, and the fact that File History’s feature is based on incremental backups, not too much space is actually being used on the drive. The options remains, however, to choose an amount of disk space to restrain File History from using. Select the smallest amount of 2% to ensure only a small fraction of the backup drive can be used or enable 20% for a larger portion to be utilized. The final section defines the amount of time to keep old files. If you find yourself always wanting to restore a file from several months ago, select a time that fits that preference. Forever is actually chosen by default, so keep this option as is to ensure you can always restore a file, given of course your offline cache isn’t set too low. Select “Until space is needed” to automatically remove the history points if space is running out for new backups. For example, if absolutely no space is remaining for a new backup that should occur this instance, the oldest history of a particular file will be wiped from the backup to make room for the newest version. Now that all the settings have been set to preference, select “Restore personal files” from the left menu to open the File History restore wizard. The top right of the window allows easy search for old files. Alternatively, browse through the wizard just like in Windows Explorer. Right-click a file to be restored. If the file is an image, “Preview” allows viewing the file before restoring it, which is handy so many restores aren’t being performed just to find one image file. 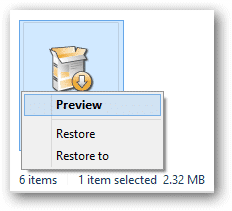 Select “Restore” to restore the selected file to the same location it resided when it was originally backed up or click the big green restore button on the bottom menu. Comparing the old and existing file will result in a window like below. Compare the dates and file sizes to ensure no changes were made from the time of the backup to the present time. If the results are the same, like in our example, there is no need to restore this file as no changes were made. 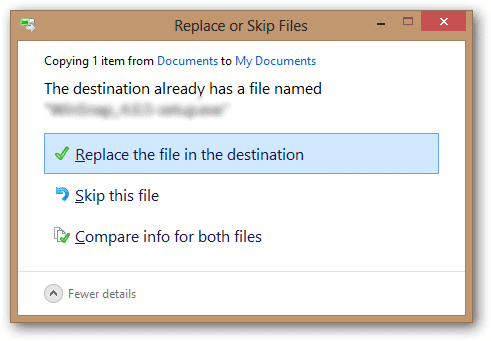 To restore a selected file to a location other than it’s original, selecting “Restore to” from the right-click menu will prompt a save as dialog box asking where to place the file. Note that browsing through the backup drive is the same as using the File History wizard. 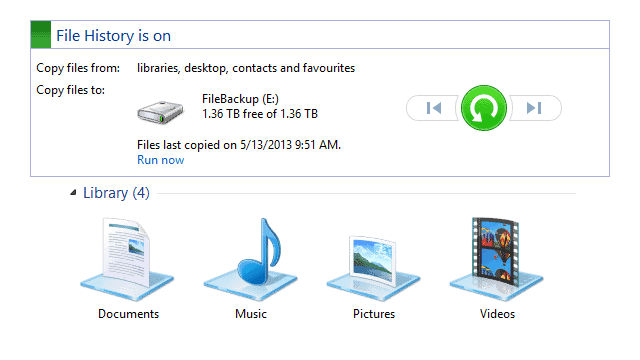 Access the backup drive and drill through the folders as if they were current and in your regular Windows Explorer. Copies can be brought back from a restore either through this method or the above. This is the first time I’ve actually enabled File History in Windows 8 and I’ll say right away that I’ll be keeping it enabled. Restoring is easy and given you have the resource for a backup location, it will definitely come in handy when you need it most. The fact that you can navigate through an exact replica of Windows Explorer but from a previous time is real nice for those who don’t need to use the restore wizard.